This course is endorsed by the Institute of Administrative Management. Today’s PA Academy is our flagship PA course, held in Central London five times a year: March, May, August, October, and December. We understand that it can be difficult to justify a full week away from the office, but our flexible option means that if you’re unable to attend five days in a row, you can simply book the course, and then spread your training days throughout the year. And if you’re not sure you need all five days, just select the combination that suits you best. Whether you are a novice or an experienced PA, the Today’s PA Academy is the ultimate total immersion course for your profession. This course is designed for PAs and office professionals who want to excel in their roles. It’s where they become the executive assistant their boss needs, discovering how to work effectively with their managers to achieve strategic business objectives. Because Today’s PA Academy is so comprehensive, delegates also learn how to become truly valued, and gain the recognition and rewards they deserve. We also concentrate on helping PAs to embrace the advances in office technology to increase productivity, stay organised, save time, and achieve a greater life/work balance. But don’t think it’s all work and no play because the course also includes an evening out with your trainer and your peers. It’s not always easy to justify a week out of the office but we can guarantee you’ll be glad you made the commitment – and so will your manager! Day 1 of Today’s PA Academy involves building up your self-esteem and sense of self-worth so that you see yourself not just as the assistant to an important person but as an extension of that person’s management style and vision. However you became a PA – and it’s surprising just how many PAs tell us it happened to them almost by accident – your position is unusual in many ways. No other role in business places so much reliance on the absolute capability of one person to provide unwavering and comprehensive support to a senior executive. Working in the shadow of someone important and busy, it’s easy for your own needs and aspirations to be overlooked – by you and others. This course brings you out of the shadows and into the light as you become aware of the critical part you play in your organisation’s success – and how you can give your career a boost as well. We give you the knowledge and tools to ensure you become the indispensable aide and business associate your manager needs – so much more than a secretary. We also make sure you begin to appreciate your real worth – not just to your manager and yourself, but to the whole organisation – and arm you with the confidence and assertiveness necessary to be not just good at your job, but brilliant at it. The rewards for this fresh, new approach to your role and the enhanced outlook on your career and life that it delivers will quickly become apparent in the weeks and months following the course. You are the gatekeeper to your manager, but who protects you from the interruptions that conspire to prevent you achieving what needs to be done each day? It’s tough enough working for someone who never seems to go home, without missing your lunch break or only occasionally getting out of the office on time. Our research suggests that PAs frequently experience interruptions totalling 90 minutes or more a day. Think what you could achieve and how much better you would feel if you could claw back two hours of lost time each day. Sounds impossible? Our course, we will show you how it can be done. And you will love us for it. Outlook is now a mature and fully-fledged assistant for you; learning to exploit its capabilities will help you make the most of your time and simplify and automate other office tasks that until now have been tediously manual or just impossible. In our experience, course delegates save an hour every day using our Outlook tips. That’s five or more hours a week – half a day given back to you to do other things! Today’s PA’s duties do not end with looking after your boss’ calendar. Top PAs are now taking on more responsibilities such as managing projects and events. This course will take you through a project life cycle and show you how to make it a shining success, earning you praise and gratitude from your boss and respect and admiration from your colleagues. Often without specific training, you have to be not just good, but great at so many diverse tasks, while all around you colleagues with specialised functions only have to concentrate on doing one thing well. We will provide you with comprehensive checklists and other useful materials that will turn the process of managing a project or organising an event into a simple task. Sitting in a meeting and listening is easy enough, but actually hearing what’s being said is not just a matter of concentration, it’s about filtering the discussion so you can note the significant details. We’ll give you tips on effective hearing – with both ears. The chairperson manages and directs the meeting, but needs to work in harmony with the minute-taker so that the flow of the meeting is noted properly. On occasions, this will require assertiveness from you – we show you how. Research suggests that 16% of the adult population has literacy problems. We’re not suggesting that includes you, but today’s organisations can no longer assume that employees come to them fully-equipped to write grammatical English. Where help with the basics is needed, we provide it. Different audiences have different needs and expectations from minutes. A CEO may just want an executive summary while a project team may need to see detail. We’ll show you several methods of filtering your notes so you can zoom in on what needs to be included in the minutes. This is a tough one, especially if you’re not directly involved in the subject of the meeting. You may not even understand the terminology being used. Relax: our special techniques for improving concentration will help you breeze through the meeting – without dozing off! Ideally, you write up meeting minutes straight afterwards. In practice, it could be a couple of days before you get round to it. By that time, the meaning of some cryptic comment with arrows pointing to a doodled diagram may have evaporated. Once you start applying one of the several note-taking methods we’ll show you, such nightmares will be a thing of the past. Where the meeting includes a lot of technical jargon and detail, it’s easy to lose track. There are ways around the problem, however, so even if you’re a complete technophobe we’ll make sure you’re covered in glory when your minutes are circulated. All Today’s PA delegates are asked to evaluate the course as it finishes. Delegates regularly give us 5 out of 5, and 1 in 6 have said it’s the best course they’ve ever attended. Your principal trainer, Paul Pennant, is the founder and Managing Director of Today’s PA. Paul started Today’s PA with a clear vision: to take his own experiences as a PA, office manager and business director and create PA training that meet the challenging real-world needs and aspirations of modern business professionals. With the rapid advances in technology, Paul has specialised in helping PAs to utilise this technology to save time and reduce stress. He covers all Microsoft Office products at all levels. He is a Microsoft Office Specialist Master. With a post-graduate degree in business studies, few, if any, trainers are better qualified to deliver and lead the workshop for Today’s PAs – for you. Your investment is £2250 + VAT. Investment for non-profit organisations is £2000+VAT. When you commit five valuable days of your time to Today’s PA Academy, we want you to know that we understand and recognise that commitment. We want to do everything we can to ensure that our courses are thoroughly worthwhile for you. Being properly prepared will play a key part in achieving that success. Indeed, your success is our success. If you get what we promise from the Academy – and we know you will – we are confident you will recommend it to peers and colleagues. So we would like you to complete a short questionnaire, just before you attend this workshop, in order to give us a snapshot of the kind of person and PA you are, how you became a PA and what are your issues, frustrations, hopes and ambitions. When you arrive at the course, you will feel that you are among friends who understand you – and you are because your trainers and course designers have all been where you are now. Doesn’t that give you a warm, fuzzy feeling? In five days, the Today’s PA Academy will provide your PA with the skills they need to achieve what you want and expect from them. That’s because, unlike other Personal Assistant courses, this one is designed by experienced, successful PAs, for today’s PAs. 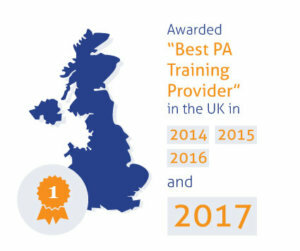 Today’s PA lead trainer has been a highly successful PA and Office Manager and is now the company’s Managing Director. With a post-graduate degree in business studies as well, the success of Today’s PA is a testimony to the fact that no trainer is better qualified to deliver and our courses. Your PA is prepared to commit five days of valuable time to become better equipped for helping and working with you. That has to be a worthwhile investment – the companies below certainly think so. There are many good reasons for keeping the course in-house: it makes for greater efficiency and ensures everything is focussed on your organisation’s business. The courses can be adapted to your organisation’s specific needs so that it perfectly aligns with its culture and values. I attended the Today's PA Academy and Advanced Academy in March 2016. Paul is an incredibly knowledgeable and engaging trainer who has designed the course for the needs of the PA/EA. 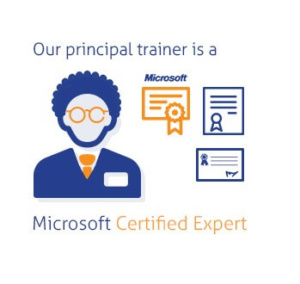 Not only were the tips for MS Office suite well presented and comprehensible but they were specifically relevant to the role. We were given a wide ranging portfolio of tools to take back to work which would add immediate value, both from the perspective of saving and managing time but also the presentation and manipulation of documents and spreadsheets. The behaviour modules are a must-do also, even for a PA who already considers herself to be assertive. This course is a game-changer.